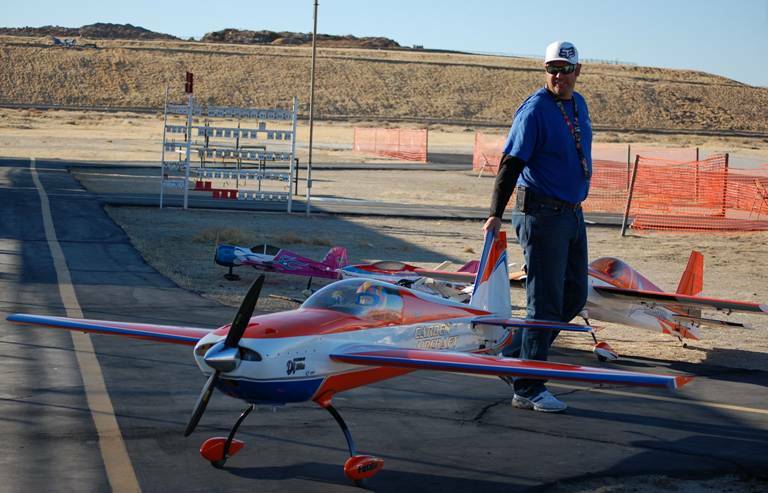 Kirt Campbell of Bakersfield demonstrates his talents with 3D aircraft. 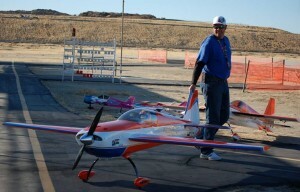 LANCASTER – Colorful model aircrafts of all sizes dotted the tiny tarmac at the Antelope Valley Model Airpark Saturday. All were showcased as part of the Christmas Airshow and Toy Drive, hosted by Antelope Valley Tradewinds. 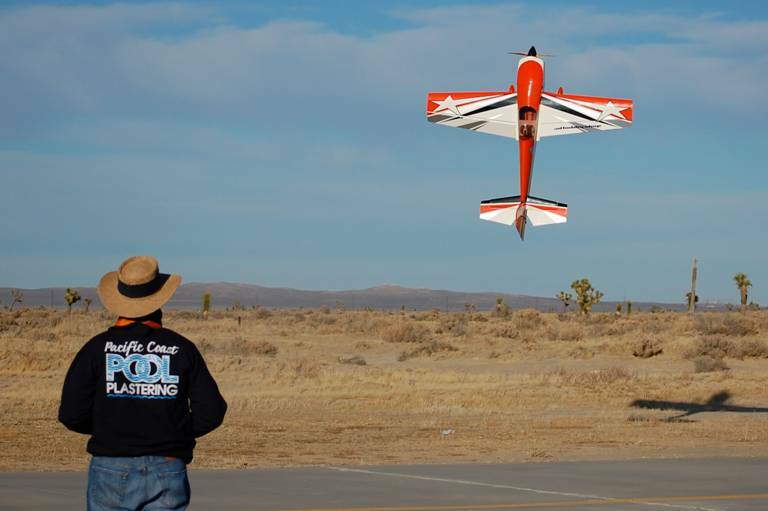 The daylong event drew about 300 model aircraft enthusiasts and spectators, said organizers. The airshow featured demonstrations and static displays of various radio control aircraft, including helicopters, scale (replica) flying models, ducted fan and 3D aircraft. Spectators were entertained by racing, 3-D flying and formation flying. The event was also for a good cause – collecting unwrapped toys from the community to benefit Kids Charities of the Antelope Valley.